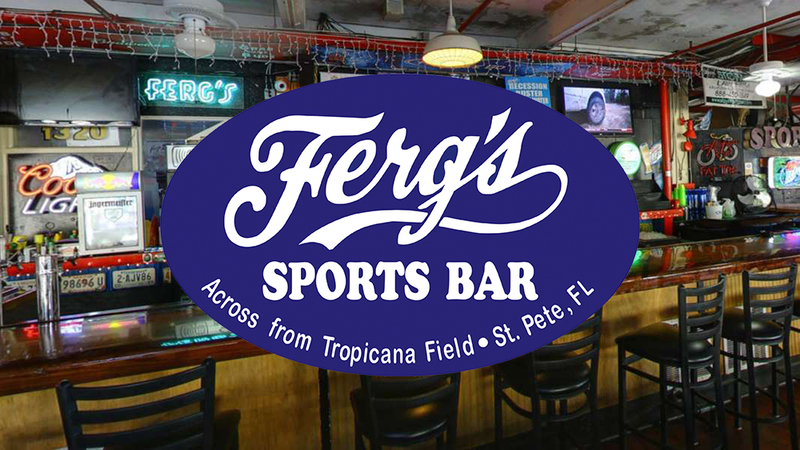 Join the Florida Sports Hall of Fame and Ferg’s Sports Bar for a Celebration of Major League Baseball 2019. Enjoy complimentary food and drink, mix with baseball Legends and Hall of Famers, participate in an amazing auction of sports memorabilia, all before catching the Tampa Bay Rays / Colorado Rockies game from a lower level seat at Tropicana Field. This incredible evening is limited to the first 100 patrons and will take place on Monday, April 1 with the pre-game party, meet-and-greet and auction from 5-7 p.m. at Fergs Sports Bar followed by the Rays-Rockies game at 7:10. The Florida Sports Hall of Fame (FSHOF) joined hands with the Florida Sports Foundation (FSF) to host the 58th Governor’s Baseball Dinner at Tropicana Field on Thursday, Feb. 15. The event was a rousing success, with more than 360 enthusiastic baseball fans attending the sold-out event which officially marks the start of spring training in the Sunshine State. The Florida Sports Hall of Fame recognizes and honors Florida’s greatest sports figures and events, and leverages this collective celebrity to promote fitness awareness, education and sports activities among our state’s youth and adults. Equally important is the promotion of the qualities of discipline and honor among sports participants.